Lolly Love grew up in the SF Bay area (Berkeley & Piedmont), however she spent many summer’s in San Diego, specifically at the Hotel Del Coronado. These summer trips inspired a deep love & appreciation for San Diego and she moved here as soon as she could after college. In fact, you'll be hard pressed to find anyone as passionate about San Diego than Lolly! She even has a YouTube Show called "Lolly Loves San Diego" in which she highlights not only Real Estate, but San Diego's "Best Kept Secrets" and favorite "Hot Spots". Lolly has been highly successful in Multi-family Real Estate & Marketing for 20+ years. She has a Bachelor's degree from Chico State University and PHD in L.I.F.E. (Love, Inspiration, Fun & Excitement). Her infectious positive energy is magnetic and she will certainly increase your vibration and love of San Diego. 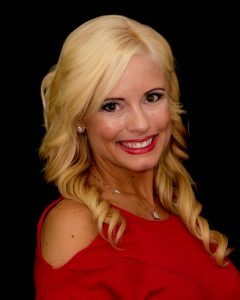 Lolly’s inspirational leadership, sales expertise, marketing ideas and unique ability with people has escalated the profitability and success of every client and transaction she has been involved in. Lolly lives in "Little Italy" in downtown San Diego, with her 3-year-old son Landon.